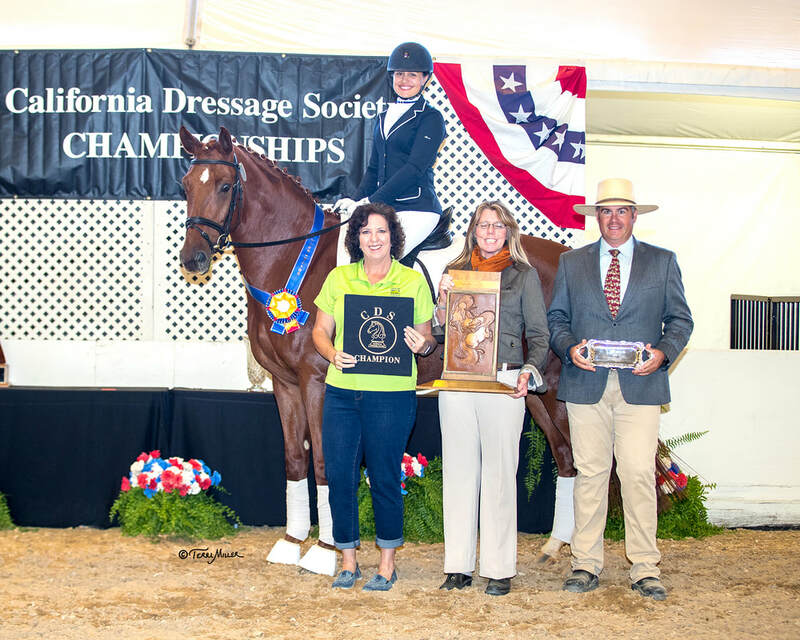 California Dressage Society Champion 2017 at First Level, Open division with a combined 75%! In 2018, Fabio won the 2nd Reserve Champion title at Second Level/ Open. 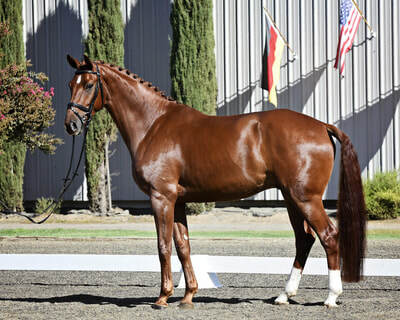 Fabio is a charming imported gelding with a super work ethic and temperament. He comes out of the stall everyday ready to work and is a joy to have in the barn. In 2016 Fabio showed training level with scores to 81%. In 2017 he showed at 1st level with scores up to 77%. 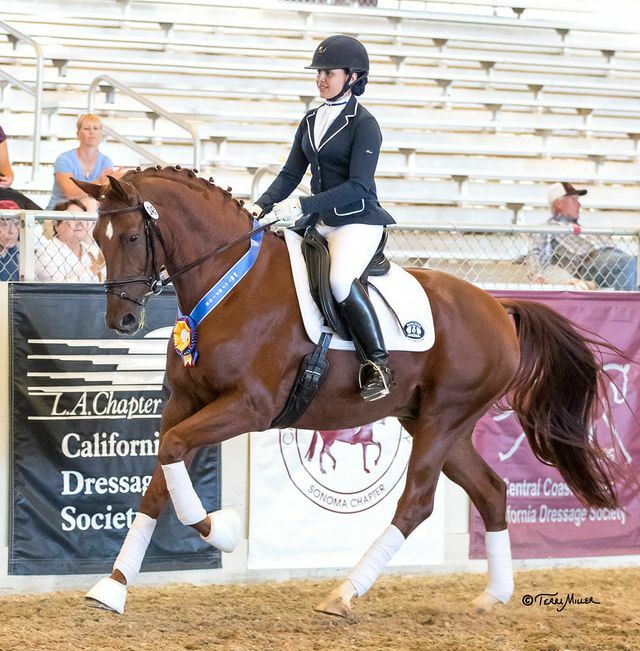 Finishing up his 2017 season he won the CDS Championship at the Annual Show against 18 other talented competitors with a total score of 75%. In 2018 he is showing 2nd level with scores up to 77%. Fabio has three lovely gaits and an especially uphill canter. He is easy on the bit and very comfortable for the rider. 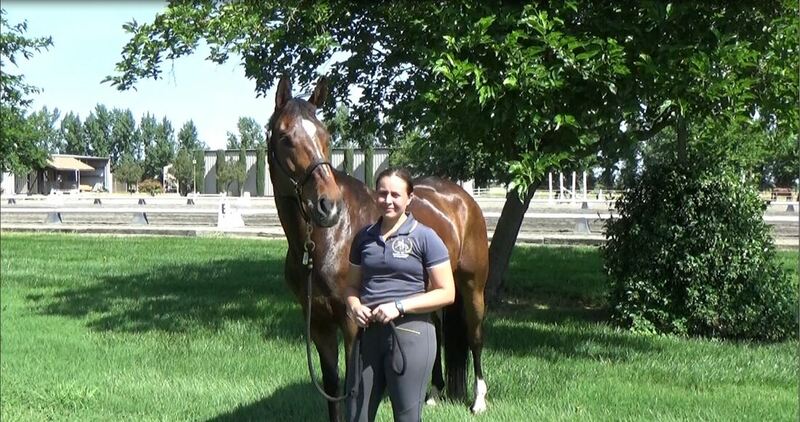 He would be a fabulous horse for a Junior / Young rider or Adult Amateur to bring along through the levels. 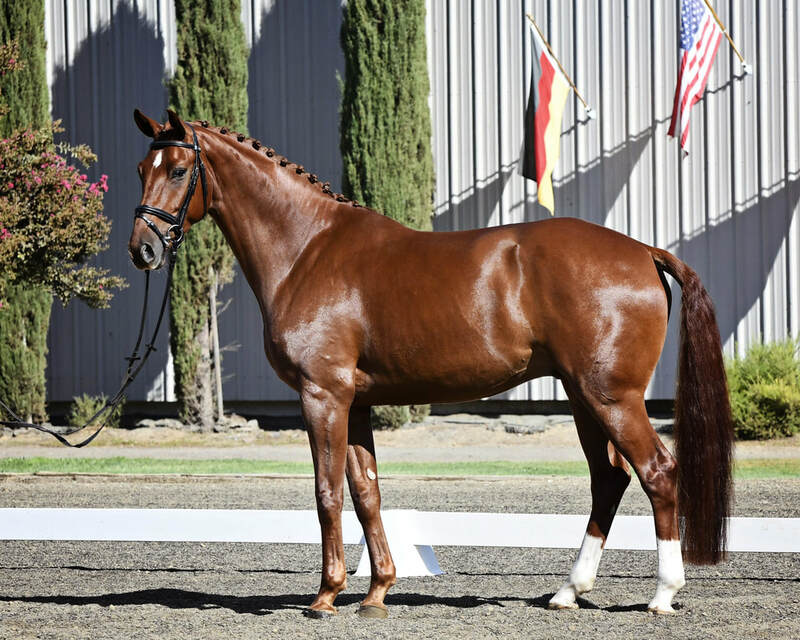 Fabio is by Fürst Nymphenburg, a typey liver chestnut stallion with not only expressive, correct conformation, but also well-shaped lines he knows how to use in movement. 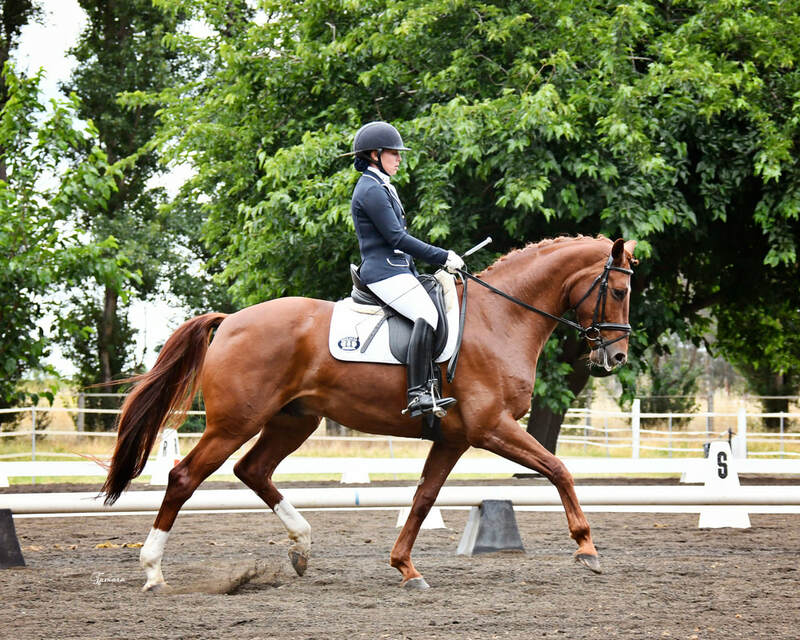 He displays ground-covering, always uphill going canter, and he combines his trot, powerful from behind, with the swinging back and lots of freedom of the shoulders. 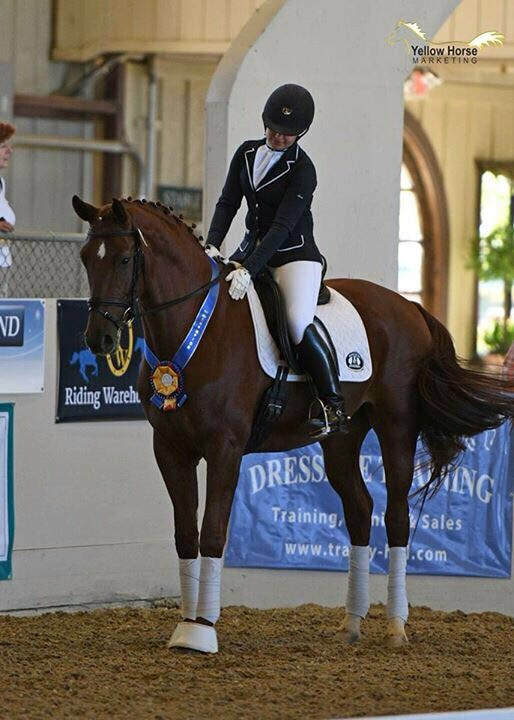 He is a stallion at the State Stud in Celle and he was the 1st Reserve Champion at his stallion testing. 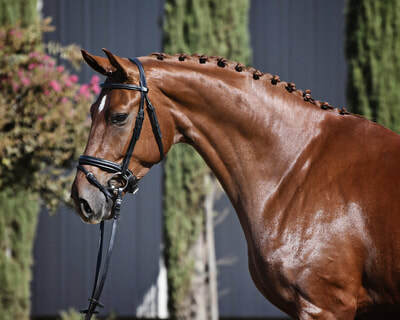 He qualified for the 2008 Bundeschampionat where he received high scores (8.5 for conformation, an 8.0 for his canter, training and presentation, finishing ninth. 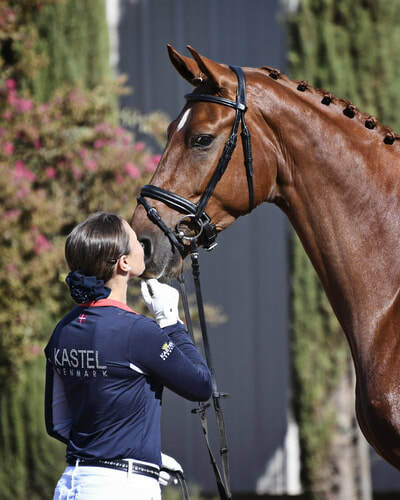 He won the 2014 Nurnberger Burgpokal qualifier in Nettetal during the busy breeding season.